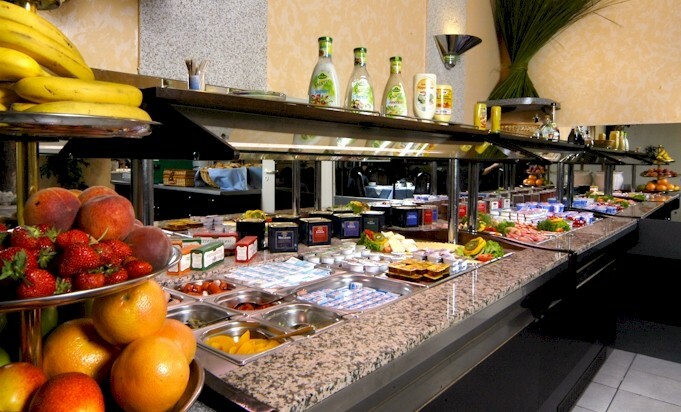 Breakfast buffet - International breakfast buffet is served daily from 06:00am to 10:00am. Enjoy the view of the former airport Temepelhof on our enclosed terrace. Lobbybar - Sparkling wine, beer, coffee or tea is served anytime at our cosy "Hygge Bar". Grab & Go - At anytime we offer you drinks and sandwiches for take away. Internet access - Free Wi-Fi through out the Hotel and a computer corner in the Lobby with a Laserprinter is always available for you. Parking Lot (restricted space) - You can park your vehicle with out further charges in the lot behind the Hotel. Baby cot - For your children until 2 years is a baby cot upon request for only 15,00 EUR per stay available. Wake-up service - Please let us know your desired wake-up time, and we will wake you up on time. Pets - Dogs are also welcome in our house. For each dog we charge a fee of min. 10,00 EUR per day. Credit cards - We accept Girocard, Maestro, Mastercard, Visa, American Express and China Union Pay. Sightseeing and more - Click Berlin for more Information. Tickets - May it be a ticket for sightseeing by bus or boat, a show or visit to one of the numerous museums. You can buy the admission tickets already at the reception. City maps - A map of the city center with a metro plan is available in your room and at the reception. Environmental Zone - The hotel is located directly in front of the environmental zone. Access only with a green emissions sticker. You can get the sticker at emissions inspection centres such as TÜV, DEKRA, GTÜ, FSP and KÜS or order it online.